NLB has the couplings and fittings you need for virtually any water jet connection. 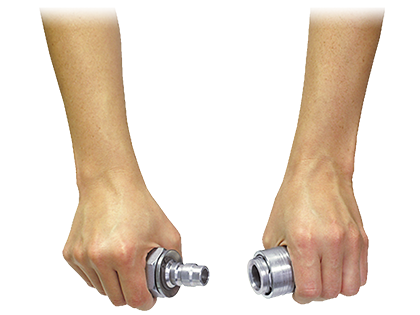 Coupling choices include quick-connect (sleeve-lock) and wing union (hammer-lock) styles, for pressures from 10,000 to 24,000 psi (700 to 1,680 bar). 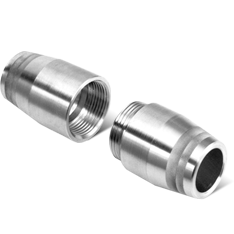 We also offer a wide selection of fittings and adapters for high-pressure and UHP (40,000 psi, or 2,800 bar) applications.